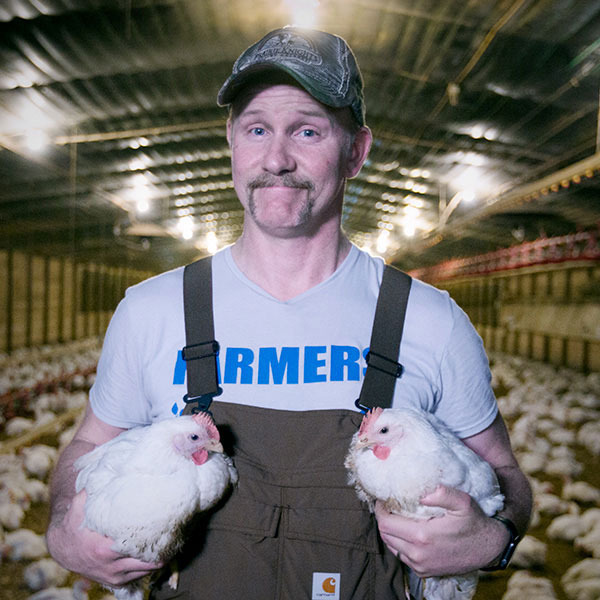 I feel like instead of a spoiler warning, I should just tell you that, as with most of Morgan Spurlock’s shock-documentaries, you’ll probably walk away from Super Size Me 2: Holy Chicken! shivering with disgust and wondering how you can go on living in a world as gross and inhumane as ours. Who can forget the real-life horror footage of vermin crawling out of New York City toilets, or scattering by the dozens from a garbage pile, in his last movie, Rats? Or the destruction to his body — puke, liver disintegration, impotence — when he voluntarily ate McDonald’s three meals a day for a month for his mega-hit Super Size Me? Chicken sandwiches, the most portable, popular way to eat the world’s most popular food, seemed a natural way in. A quick tour of options proved Burger King’s patties are so not-real they’re practically hollow, and Chick-fil-A’s are so addictive because they’re full of MSG — so Spurlock could already get an edge on the field just by growing his own chickens and being transparent about how they’d been raised. Then, with the help of the food-consulting firm that dreamed up the gordita (CCD Innovation), he conjured up an ingenious sandwich that gave people what they wanted, which is fried chicken (they pick it over grilled 90 percent of the time), while avoiding the dreaded F-word. Enter the ingenious “grilled crispy chicken sandwich,” which is essentially a panko-crusted fried chicken patty, flattened in a press, then painted with black grill marks via charcoal powder and a stencil. But things get really dark when Spurlock starts delving into the workings of what he calls “Big Chicken,” the mafia-like collusion of five mega-corporations (Tyson, Pilgrim’s Pride, Sanderson Farms, Perdue, and Koch Foods) that provide 99.9 percent of the chickens eaten in the U.S. Farmers sign contracts with them, pay on their own dime to buy land and build chicken houses, and then are subjected to a “tournament” system that arbitrarily ranks them against their neighbors to see who can grow the fattest chickens for the least amount of money — even in cases when the companies have given them sick hatchlings, females (who don’t get as big as males), or stale feed. Farmers who want to give their chickens better living conditions, such as sunlight and fresh air, are forbidden, because happier birds don’t get fat enough. To be at the bottom of the list means getting docked in pay to the tune of $5,000 a flock, which usually results in falling into debt, which gets even worse when the companies force unnecessary upgrades on the chicken houses. It’s hard to stay objective as Spurlock interviews these salt-of-the-earth men as they weep and talk about being indentured servants millions of dollars in debt, with no way out but to keep producing chickens in hopes of climbing back up the ranks. One farmer said he hadn’t had a day off in ten years, and had to go back to placing chickens two days after his son died. Another spoke of his son not being able to join the family business as a fourth-generation farmer because the lifestyle is too depressing. There’s an ongoing and growing lawsuit that chicken farmers in Kentucky have filed against Tyson for the tournament system (John Oliver did a great summary, above), but speaking out is often accompanied by blackballing within the industry. Buttram (Spurlock’s chicken farmer) was at the Toronto screening, and told me he hasn’t received a flock of chickens from Koch Foods since the company found out he was participating in Super Size Me 2. “They suspended chickens in October, so we don’t have any income since October,” says Buttram. He has 14 chicken houses he’s paid for that are sitting empty, plus two in his wife Connie’s name. They’ve gotten no official word that they’ve been eliminated; they’re just not getting chickens — and have gone from being in debt to being really in debt. At the Toronto Q&A, Buttram talked about how, in recent weeks, he’d had two despondent farmers call him threatening to commit suicide, and had to drive to a diner with his Bible and spend hours talking one of them down from it. (“The poultry company doesn’t care if he kills himself.”) Buttram doesn’t regret being in the movie. “I always help people, no matter the consequences,” he says. “I chose this path knowing there would be consequences. I didn’t think it would get this bad, that I would lose everything I got, but God made me a farmer to take care of those animals that are being mistreated and to take care of the people. That’s the reason I do this.” So for now they’ve filled their houses with 100 free-range layers, and they’re just furnishing everyone in the community with fresh eggs for free. Still, even if a solid 50 percent of the audience who see this movie comes out craving a grilled crispy chicken sandwich, that’s a decent market share! Spurlock says that immediately after the success of the Columbus pop-up, they got offers to franchise. “We have investors who want to come onboard to put this out because we’ve already seen that people are responding to someone finally telling them the truth about how terrible the industry is and how bad the food is for you,” he says. “So I think as the film rolls out, there’s going to be some more Holy Chickens popping up.” Did I mention they serve crispy, batter-dipped green beans, too?